Live events are a good way to connect with customers, develop leads, and road test your Learning Management System. But how can you ensure your LMS promotional event is a success? Hosting a promotional event for your LMS allows you to pitch your selling points and get to know your target audience. But ironing out all the details can be time consuming and expensive, whether you’re using a video conferencing tool to attract global attendees or renting a physical space to meet-and-greet your clients in person. Setting up your promotional events doesn't have to be an anxiety-inducing headache, though. With some preparation and these 5 quick tips, your promotional events can be a roaring success, and you might even enjoy it! Think about any social or entertainment event you’ve attended. What drew you to it? The name was probably a big part of it. Just because your event is educational and promotional doesn’t mean it has to be boring. Select an event name that is both descriptive and enticing. It should explain the exact benefit consumers will receive by attending. It should also whet their appetite and get them revved up. Instead of calling it "LMS Launch Event" you could call it "Learn to smash sales target with the right LMS" or "Get that promotion by advancing job skills on your computer". You could even pick an acronym. Something like PALMS: Professional Advancement through Learning Management Systems. The mistake many companies make is to pick a pricey location. They realize, rightly, that the choice of venue will influence consumer attitudes. So they opt for fancy hotels and expensive conference centers. Keep in mind that the sales funnel sometimes means that out of 100 event guests, only 10 will buy your platform. Therefore, be wary of how much you spend. Instead of splurging on a prestigious location, choose a practical one instead. It should be easy to access, with good lighting and adequate parking. Fast internet, backup electricity, and plenty of power outlets are all essentials. Consider hosting your promotional events in your own office. You could also host your promotional events online with the help of video conferencing software. This will help you cut costs and show the customer what you’re about. Plus, you don’t have to foot the bill for printed materials. If you’re charging for your promotional event, you might run a contest and give out a free ticket. This offers a lot of organic publicity from people trying to win the ticket. It will also get the word round to non-competitors. If you market your promotional events well enough, you’ll sell more tickets as consumers realize your event is something worth attending. Even if there’s no cover charge, you can still offer goodies to contest winners. They can get branded merchandise or discounts on purchases. They can also win one-on-one sessions or individual consultation with keynote speakers. Another suggestion if you're hosting a physical event is to offer transport to and from your promotion venue. You can have a bus or van collect guests from a central point and drop them back afterward. This is a good way to maintain numbers while ensuring security for your event guests. Many event organizers forget that promotional events are a rich source of free publicity. Get a recording of the whole promotional event, using the best camera set-up that you can afford. You’ll end up with hours of footage that you can edit for promotional purposes. Just remember to include a disclaimer on the ticket. This way guests know the footage may be used later, and will not sue. 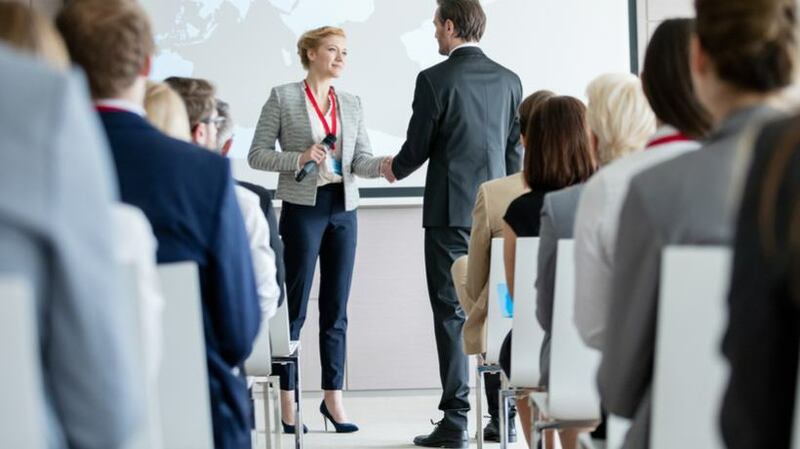 In addition to recording the event itself, remember to get a testimonial from attendees, as well as feedback to help you improve your LMS marketing strategy. Ask them what they liked about the event, and what wasn’t working. You should also have a system in place to collect their contacts. It could be a phone and email sign-up sheet. Some guests may be uneasy about it, so offer to share exclusive post-event content with them via email. In addition, pick the right video recording/editing software for the task. Some video conferencing tools even have this built-in to the platform. Long before the promotional event, use social media to build hype. Organize pre-launch activities, like the competition mentioned earlier, as well as a teaser campaign. It could have trivia about the venue, the company, or the facilitators. Keep it exciting, enticing, and informative. On the day of the promotional event, select an appropriate hashtag and use it to update online followers throughout the day. Don’t give away too much of the event, but you can post occasional quotes, photos, and video clips. 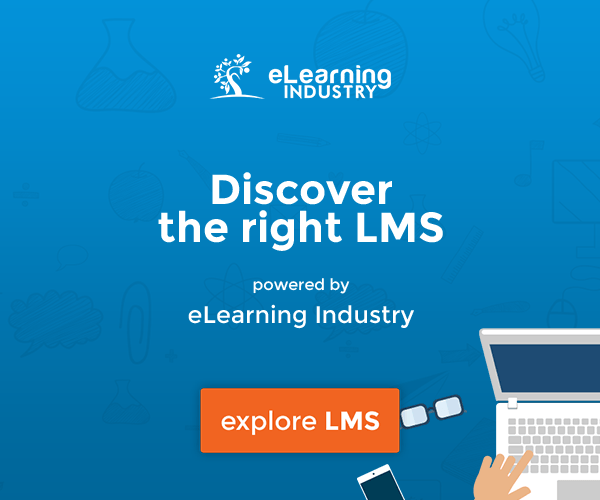 The idea is to ramp up interest for your LMS. Even if they didn’t attend, online viewers can see their need for your LMS, thereby generating leads. Another idea is to create an exclusive social media group or page for attendees. This allows you to post frequent updates, gather feedback, and keep the discussion going. Hosting promotional events involves challenges, the least of which is overcoming stage fright. Decide on a good moniker for your promotional event, and pick the right spot for your promotion. Announce a competition, offering free tickets and other goodies. Make sure the whole event is meticulously recorded with good sound and lighting. Promote the event online, and collect contact details that your sales team can later follow up. Also, as much as you’re aiming to make sales, try to enjoy yourself. If you’re having fun, your guests will too. Is your LMS marketing strategy achieving results or is it proving to be more problematic than expected? 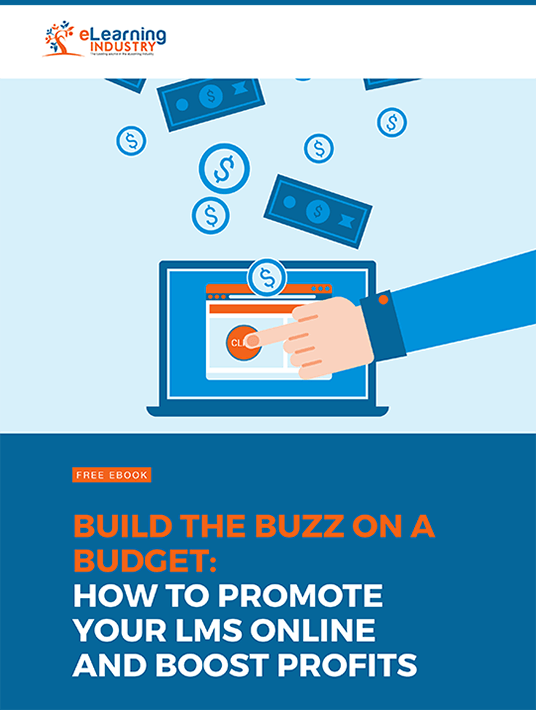 Download our free eBook Build the Buzz on a Budget: How To Promote Your LMS Online and Boost Profits to discover the unexpected benefits of promoting your LMS online and tips to identify your niche. We’ll also share innovative LMS marketing techniques that can help you increase sales and brand awareness.